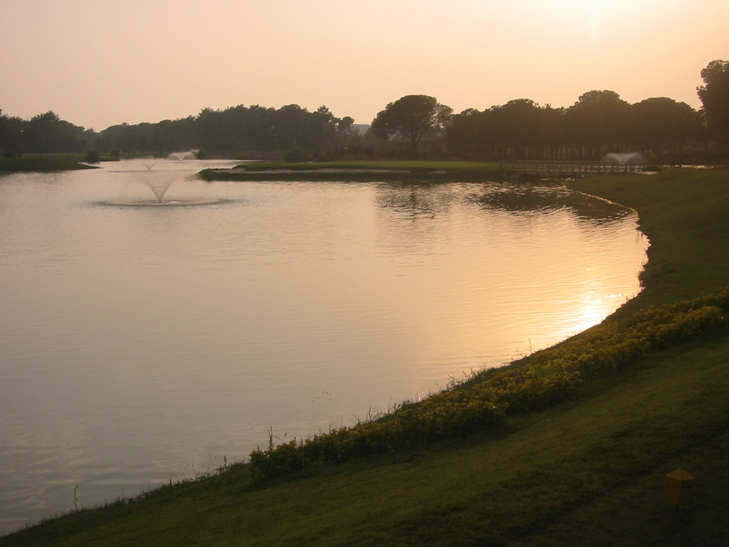 Gloria Golf Club Hole 9: The end of the front nine features a huge lake running the entire length of the right side of the hole. Short enough to be reached in two, this poses a good birdie opportunity as long as the shots are straight. Other than the obvious water to the right, large trees will block shots to the left. Gloria Golf Club Hole 12 (right): This par three is very long and features a shot over a marsh land, between trees to a bowl of a green complex. 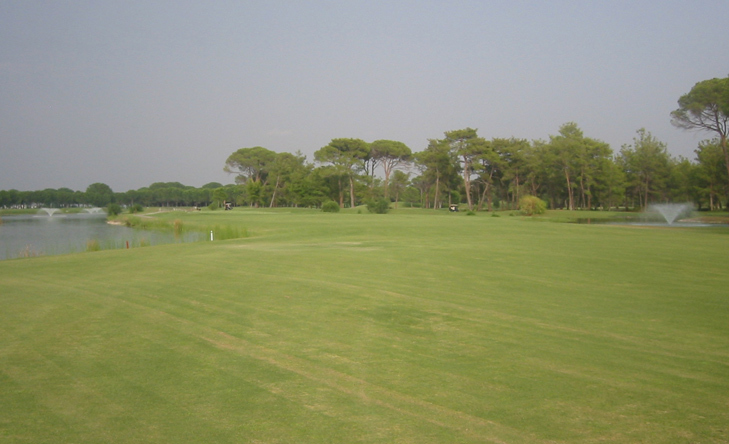 Gloria Golf Club Hole 13 (below): This par four is a sharp dog leg right around a corner of tall trees. A shot close to the dogleg risks being blocked but presents a much shorter shot to the green. The approach must then make its way between lakes both left and right of the green complex. However, the front of the green is wide open to receive a running shot. Gloria Golf Club Hole 14 (right): By far the most difficult hole on the course, this 470 yard par four is also very tight, with trees, water and several bunkers to contend with. 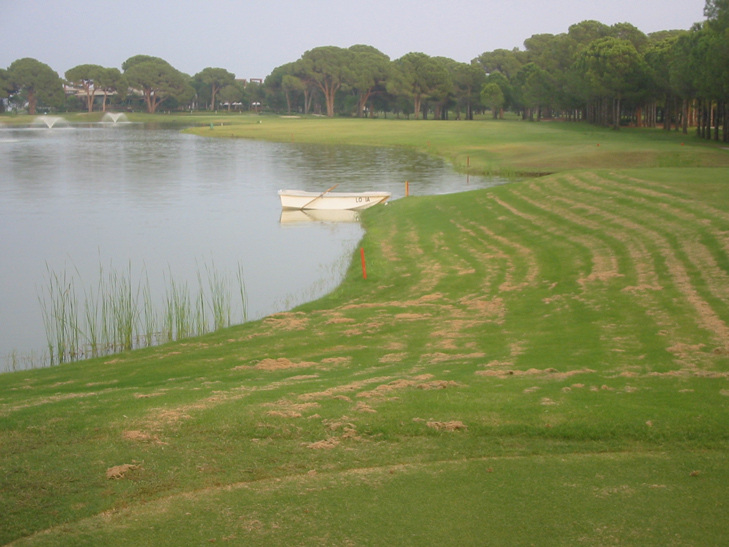 Gloria Golf Club Hole 17 (below): This island par 3 is not deep, but very wide, meaning that club selection is key, even if direction is a little shaky. The green is fairly flat and not difficult to putt. Gloria Golf Club Hole 18: This hole would make a fantastic par four, but is instead a curiously short par 5, maybe to make the golfer happy and come play again. The lake down the left is very much in play from tee to green, but since this hole is actually shorter than the par four fourteenth, not much length is needed. Read More Golf Course Reviews.